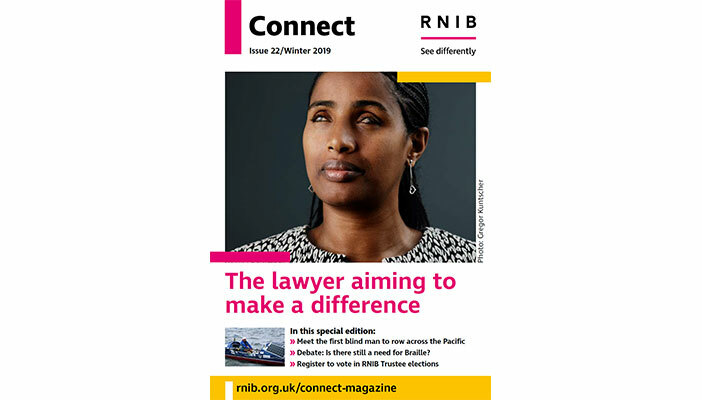 RNIB Connect magazine (previously Vision magazine) is published quarterly by RNIB for everyone affected by sight loss. Join the RNIB Connect community to enjoy a free copy of Connect magazine, available in various formats including braille, large print and audio CD. If you're an existing RNIB member and you'd like to change the format of your magazine, please contact [email protected] or call 0303 1234 555 for more information.